Songs About Technology And Staring At Screens! Throughout history it seems that artists accurately recorded the mood of the time whilst also predicting what the future offered for the masses. Traditionally though, nobody ever listens to the crazy artist guy who has probably just been drinking too much Absinthe again and maybe much of this blame can be placed on the infamous Nostradamus who had the uncanny ability to predict events that only become crystal clear after the event has occurred. The works of George Orwell are rightly debated by people in chunky sweaters in this world littered with CCTV and everybody knowing what you are doing in every minute of the day and who could forget the self-fulfilling prophecy of Buggles singing “Video Killed the Radio Star” for the MTV generation. The zeitgeist of the modern digital world increasingly points to the fact that we have stopped talking to each other and we are all too busy staring at screens, the technology that was supposed to bring us all together is actually building a great divide as the increasingly hairy bohemians or hipsters will have us all believe. This in itself is somewhat ironic and makes me ponder at the thought of some sort of future split in society that consists of hairy cave dwellers and pristine digital natives dressed head to toe in Hollister. However there seems to be a growing number of songs from our musical elders who seem more than a little annoyed that we are spending more time staring at screens than actually conversing with each other. 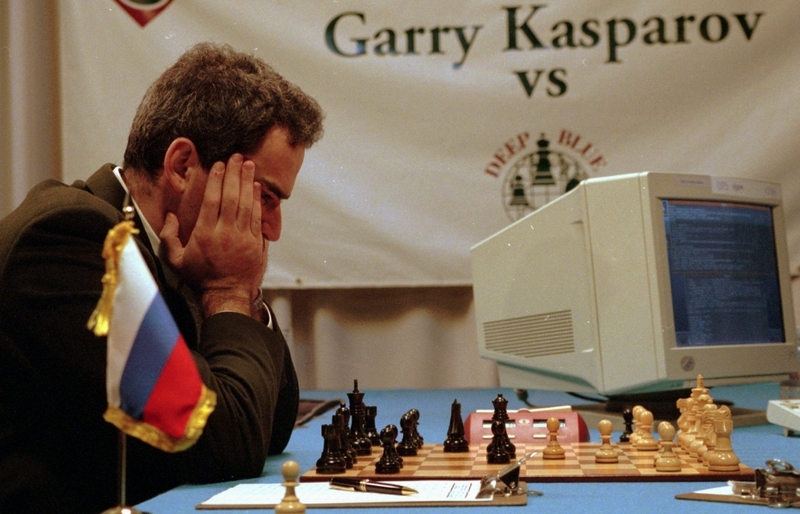 Way back in 1986 a chess playing super-computer called Deep Blue developed by IBM defeated grandmaster Garry Kasparov. This song is about the triumph of technology over humans and maybe hey who knows, maybe this Skynet really already has become self-aware. The lyrics to Deep blue offer a quite unsubtle warning to mobile obsessed users. Paul Weller really could be the “John Connor” of our time, of course you not be permitted to look at the modfather, speak to the modfather or speak to him unless addressed by the modfather but he has a few wise words to share through the medium of song. Paul Weller is going to be our very own “John Connor” then the deputy leader of the resistance against technology then Godlike genius Marr is happy to oblige but he will do it with a little humour. Johnny Marr sings here about a Lottery winner who ditches his wife for an ECG machine. People are now busy collecting thousands of friends on Facebook but how many of these can be classed as close friends is the burning question. Win and Regine are quick to point out through the medium of song that actually connections that are made through technology are impersonal and we end up seeing more of ourselves than of the other person. Anyone that remembers the beauty of truly connecting with someone only to now found yourself sat close together but miles apart inside staring into screens will appreciate the lyrics. “We’re still connected, but are we even friends? Ever since Damon unleashed the song Country House on the UK to win the hearts of the UK from Oasis during the Britpop years, he has desperately been trying to payback for his former sins by bringing more cerebral material to our attention. To be fair all debts were wiped out after Under the Westway but Damon is a very considerate and generous lover of music and the song Everyday Robots perfectly sums up anyone that suffers a daily commute to the office. The elder statesmen of music have spoken and sent out a clear warning message which basically consists of “stop staring at a screen and pay more attention to your fellow humans” Will we all listen? Of course not, this is the way it’s been since the dawn of time, we all ignore the generation before so maybe making out with our operating system like Joaquin Phoenix in the movie Her is where we are heading after all, which just might be another prediction coming to a reality near you very soon.